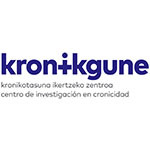 KRONIKGUE will elaborate a project management handbook for project management and quality assurance. The handbook includes guidelines for financial reporting, presentation standards for deliverables and reports to the EU, measures to ensure timely reporting, payment procedures plan and calendar, etc. Internal communication procedures are defined with the aim of achieving the best results on the project execution. This task involves coordinating and managing administrative matters and giving administrative support to all partners, preparing administrative reports to the EC, ensuring financial management, the compilation of project deliverables, the periodic reporting and communication with EC services and Project Officers for purposes of coordination, progress monitoring and reporting. The project coordinator is in charge of this task supported by the rest of the involved parties in the project. Project meetings take place regularly throughout the project. The kick-off meeting was held in Spain in January 2018 where all partners met and started the project. SC MEETINGS: At the end of each reporting period, a consortium meeting will take place to ensure that the project is being properly carried out, and to provide any relevant strategic guidelines if necessary. At the end of the project, another meeting will take place in order to present the project results and outcomes. DISSEMINATION AND EXPLOITATION COMMITTEE MEETINGS: will be convened at least once each reporting period in consortium meetings to ensure that the dissemination activities, and business exploitation activities are being properly carried out. REVIEW MEETINGS: After the closure of each reporting period, the members of the consortium will be evaluated by external experts following the rules of H2020. TECHNICAL MEETINGS: 6-12-monthly meetings (audio and video conferences) will be held in order to monitor the technical aspects of the project activities. what information about the research will be given to participants The target groups to be studied include youths, so special emphasis will be put on how to obtain not only their parents/ legal representatives´ consent but also theirs. Furthermore, because resilience is an asset for everyone, adolescents considered vulnerable are also eligible to take part in the UPRIGHT program. Therefore, their parents/legal guardians will also be clearly informed of the participation and implications, and they will have to express their consent for their child to participate in program. Whenever possible, the assent of the minor will be obtained. This task will ensure that the best interests of the youth will be study´s primary consideration, and researchers and any collaborators comply with legal requirements in relation to working with children. The task will provide specific guidance to pilot sites on informed consent guarantying that the legislation is fully respected. The Guidance for applicants on informed consents provided by the EC H2020 will be used as well. This task describes UPRIGHT data protection framework. This framework will be based on the existing regulation EU Directive 95/46/EC that is currently under revision. The project will follow the procedures indicated in the new general data protection regulation No 2016/679 that will apply from 25 May 2018. The project will only collect essential data and will never share personally identified data or anonymized raw patient data with third parties. The collected data will be used for the purposes of evaluation, impact assessment and growing the evidence base. 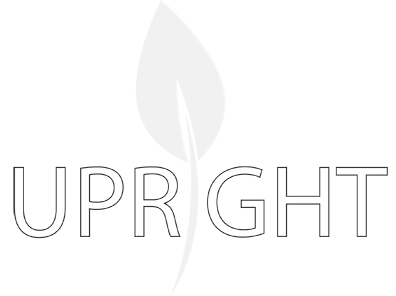 In addition, UPRIGHT project is fully aware with the open access to scientific publications article as stated in the H2020 Grant Agreement. All peer-reviewed publications arising from UPRIGHT will try to provide an open access to scientific publications from the project, without jeopardizing the exploitability of project results. This task will deal with all contractual and other legal issues related to the Project, which will primarily focus on partnership management (including enabling relationships with third parties and external collaborators) and formalisation of updates of the work plan, roles and resources assignments as needed. In particular, it will comprise Grant Agreement and Consortium Agreement implementation and amendments, support to partners in legal issues, production of non-disclosure agreements, and IPR management in close collaboration with WP6.